The Great Spa sits on the edge of London, a structure visible from space. The power of Britain on the world stage rests in its monopoly on the Treatment, a medical procedure which transforms the richest and most powerful into a state of permanent physical youth. The Great Spa is the place where the newly young immortals go to revitalise their aged souls. In this most secure of facilities, a murder of one of the guests threatens to destabilise the new order, and DCI Oates of the Metropolitan police is called in to investigate. 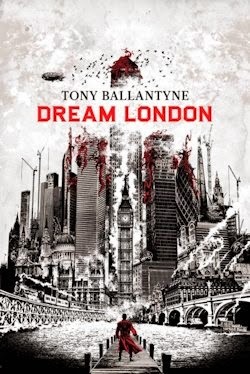 In a single day, Oates must unravel the secrets behind the Treatment and the long-ago disappearance of its creator, passing through a London riven with disorder and corruption. 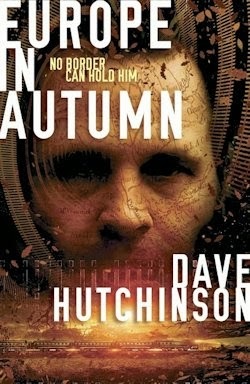 As a night of widespread rioting takes hold of the city, he moves towards a climax which could lead to the destruction of the Great Spa, his own ruin, and the loss of everything he holds most dear. As one of the twentieth century's most missed musicians once wondered, who wants to live forever? A better question to ask, perhaps: who among us doesn't? As far back as in The Epic of Gilgamesh, one of the world's first literary works, we have dreamed as a people of sidestepping death; as far back as that, and further, immortality—whether through mythical or material means—has fascinated us in fiction and in fact. According to certain scientists, these discoveries may be made mere decades from today, thus the promising premise of The Happier Dead. In the near future of Ivo Stourton's new book, eternal life is indeed achievable, but far from free, I'm afraid. You could spend your entire natural life putting every penny you earn in a pot and you'd still struggle to cough up the deposit. But in a society where passing away has become an embarrassment, what price wouldn't you pay to avoid dying one day? The magic happens in an egg-shaped structure so monolithic that it has altered the landscape of London, where Stourton stages the murder mystery at the haemorrhaging heart of The Happier Dead. The Great Spa can be seen from space, even, and "at its uppermost limit, the great red beacon on the top was so close to the rainclouds that the light illuminated them beneath with a cherry-red glow, giving the sky above [...] the look of a vast special effect, a stage show for the passing motorists." (p.15) Fittingly, then, treatment within this modern day Tower of Babel is the preserve of the ridiculously rich—as well as those with connections, yes. But there are also those willing to sacrifice more than money in exchange for an immortality ticket. Detective Chief Inspector Oates calls them Eddies: poor people, presumably, who can be talked into confessing to anything—though in practice they tend to take the fall for murders—so long as they're assured a top-tier treatment at the end of whatever sentence they get. To wit, when a man dies very violently in the safe haven that the spa is meant to represent, and a groundskeeper admits to killing him, Oates' first priority is to establish whether Ali Farooz is an assassin or a patsy. His testimony is perfectly plausible, and all the evidence points toward Farooz being the doer too. Oates, however, isn't convinced. "More than anything, he wanted to get back to his family. But the body of Prudence Owusu lay between them like a fallen tree across the road. There was no way round but to clear it," (p.81) and as a proper copper—one wont to trust his gut before accepting an easy answer—he endeavours to investigate the aforementioned financier's death in earnest... much to the annoyance of his boss, who seems particularly pally with the spa's manager. 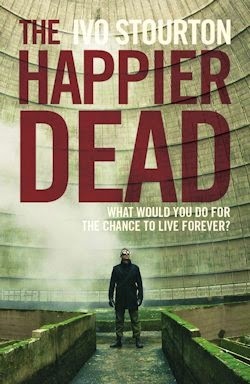 The whole of The Happier Dead takes place in the space of a single day against the apocalyptic backdrop of a city riven by riots—a well-rendered recurrence of the unrest that rocked the capital and the country in August 2011. As Oates' investigation gathers momentum, so too does the sense of a populace on the precipice; of people preparing to rage against the machine once more. 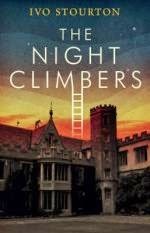 The text's setting, then, is particularly potent: playing on real fears experienced in recent years, Stourton depicts a disquieting capital altogether too similar to the state of London lately. This barely restrained readiness to erupt appeals to Stourton's unexpectedly compelling central character, who we come to care for despite the terrifying tendencies he demonstrates at the outset—explosions of sudden, shattering violence, such that when a bouncer in a booth refuses to grant Oates entry into the exclusive club his latest clue has led him to, he simply smashes his way through the window, happily shredding his hands in the process. In this way Oates' terrible temper is tempered—by dint of the fact that he has a unquestionable conception of right and wrong, which figures into the fiction of him as a family man; one who would practically annihilate anyone who dared to threaten his nearest and dearest—and of course, before the story's over, someone does—but a man with his heart in the right place regardless. Strange they may be, but the central elements of The Happier Dead—societal strife, our insatiable lust for life, and the knock-on effects of immortality on morality—are all too true, to be sure. Let me ask again, then: who wants to live forever?